MOSCOW. Oct 21 (Interfax) – The Russian authorities know how to take inflation under control; by the end of 2015 it will reach planned levels, Russian First Deputy Prime Minister Igor Shuvalov said at the State Duma on Wednesday. “I can say that in terms of growth rates and inflation – which concerned us most of all within the macro framework – we are now approaching the parameters that the government announced at the end of last year-the start of this year,” Shuvalov said. He said that by the end of this year, inflation will reach the planned levels. 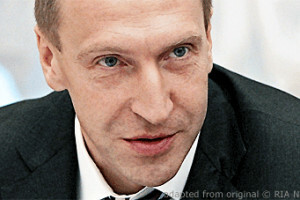 Shuvalov said a wide range of forecasts for Russia’s economy had been voiced. “You know, we received the most varied forecasts about how the economy would behave, not just from our foreign friends, our so-called friends, but even from economists in Russia. It is no secret that they forecast a steep drop, a decline in GDP of up to 10% and some said in effect that the Russian economy was heading for collapse and hyperinflation,” Shuvalov said. “They told us that the Russian economy faced such a scenario or something similar, but also said that the global economy would grow, would experience some expansion,” he said. “But we see that neither the one nor the other came true. The Russian economy is not in tatters, as some of our partners are saying. But it is true that I can’t say it is doing well,” Shuvalov said.